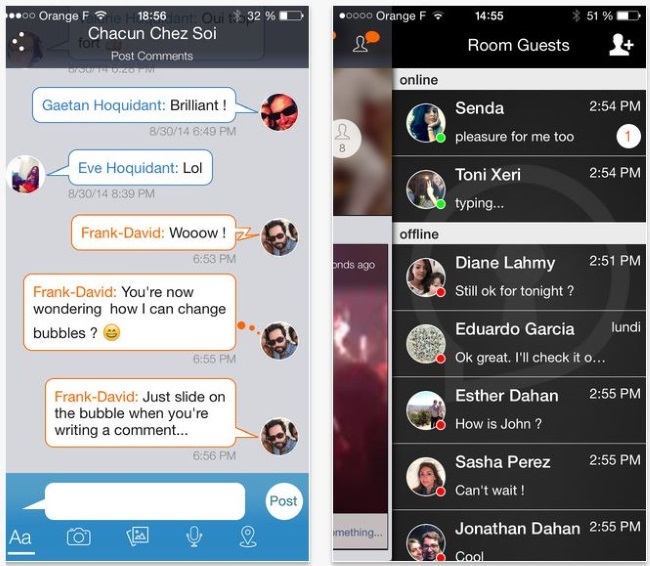 The saying, “Imitation is the sincerest form of flattery,” does not apply in the world of applications, as the Rooms anonymous chatting app Facebook released last week raised the ire of the developers of Room, an iPhone app that debuted last month, as both apps allow users to create chat rooms and invite others to participate, without requiring real names. We don’t know what happened, if something was leaked from VCs (venture-capital firms) we were talking to that are very connected with Facebook, if it’s from high Facebook executives that we have on our Facebook friends list, friends of friends working at Facebook, or someone at Facebook that saw our app and thought it was cool enough to copy. We’re sure this is not a coincidence. We don’t understand how Facebook, with all their lawyers, could have released an app with the same name and features. We won’t let this happen and we want to defend all entrepreneurs with great ideas and great visions. In late July, Instagram launched an app called Bolt for iOS and Android users in New Zealand, Singapore and South Africa, allowing them to share photos one-on-one. However, a mobile voice app named Bolt already existed, and its co-founder and CEO, Andrew Benton, urged Instagram to change the name of its app in a blog post. Facebook’s Paper iPhone app, which launched in February, faced a similar plea from FiftyThree, developer of a well-established app, also named Paper, which launched in March 2012. In May 2013, Facebook reached a settlement with Timelines.com, which sued the social network in September 2011 when its then-new user profile was named Timeline. Readers: Do the developers of Room have a legitimate beef?